Holley Holland, a boutique consultancy specialising in the financial services industry has appointed Alex Cameron as a principal consultant. 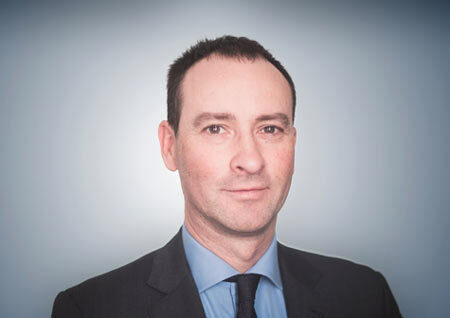 With his extensive experience in the legal and regulatory side of banking with organisations such as the Bank of England, Barclay’s Capital and Barclay’s Business Banking, Cameron will play a key role in helping to further build Holley Holland’s practice in these areas. One of Holley Holland’s current strategic objectives is to increase its strong risk and regulatory support to financial institutions to help ensure compliance with local and global guidelines, rules and directives such as Recovery and Resolution planning (Living Wills), Stress Testing and various other challenging Regulatory cultural issues that cause such heavy fines and reputational damage for financial institutions. Holley Holland is already working on ‘recovery and resolution’ and other regulatory projects with clients including the European operations of a major US bank, one of the largest financial institutions in the world. “Many of these areas of compliance are proving far more challenging for many financial institutions than first thought – and the commitment required has led to many looking for outside help. We believe that Alex’s high level background and experience in these areas will help give clients even more confidence in our ability to guide them through the complexities,” says Andrew Holland, partner. Cameron has over 25 years’ experience in financial services and has held several Head of Legal roles in investment and business banking sectors with a European remit. A qualified solicitor (having trained with Allen & Overy), he has also acted as a consultant to businesses such as Merrill Lynch and Bank of America. During his career he has headed up numerous successful major bank projects assessing regulatory, legal and operational risks and has designed and delivered new models for legal teams for Barclays, winning two industry awards in the process. This in-depth expertise complements the industry knowledge of Andrew Holley and Mark Holland, the company’s founding partners. Together, Holley and Holland have over 50 years’ experience across the financial services sector, having held a range of senior and executive management positions for firms such as JP Morgan and KPMG Consulting. “Alex is a valuable addition to our growing team of trusted and talented professionals,” says Holland, “His work in supporting the legal, regulatory and business vision of many of the top names in the industry demonstrates the calibre of his knowledge and will help greatly enhance our services to clients in this complex area of their business. Cameron’s appointment is part of Holley Holland’s on-going global expansion plans which include the hiring of several top industry specialists and the opening of a US subsidiary in North Carolina.